Activities - Senior Citizens​Activities, Inc.
​​Come to enjoy both instructor-led and self-led art projects. Make decorative art, fine art pieces or coloring masterpieces - the possibilities are endless! ​​Enjoy a new book with a group & get involved in great discussions - there is always a new adventure! ​​Calling all Bingo lovers! 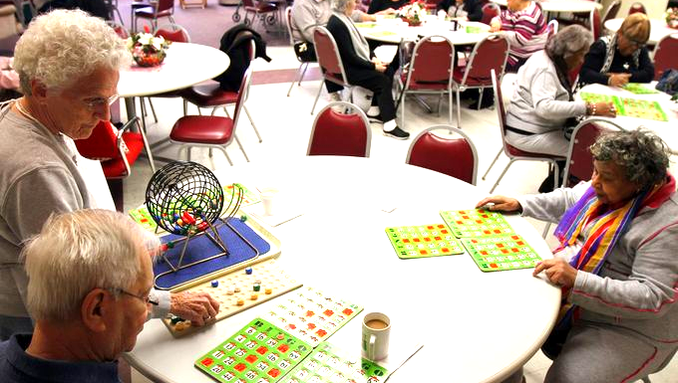 Enjoy two great groups of Bingo here at the Senior Center. Fun Bingo & Saturday Bingo both offer the chance to win great prizes! Please call 262-335-4498 to register for Saturday Bingo. ​​Make melds with our Canasta group to score & win. Hand & Foot Canasta also available to play! Our lively directed chorus sings to their hearts' desire. The "Musical Memories Chorus" is currently seeking an experienced guitarist to join the ranks & make beautiful music with us! ​​Tap in to your creative abilities and make a birthday, thank-you or other fun card. Card stock & stationary materials provided & instructor-led. 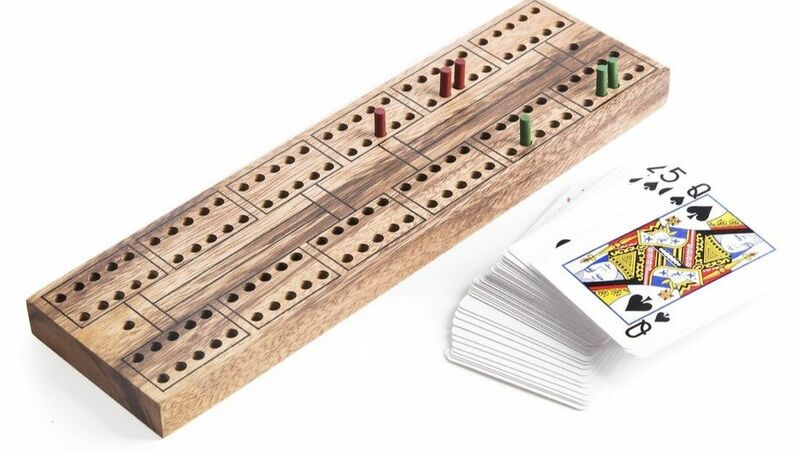 ​​Pick your peg color and join our Cribbage group. Have fun & sharpen your score counting. ​​What kind of patterns will you lay? 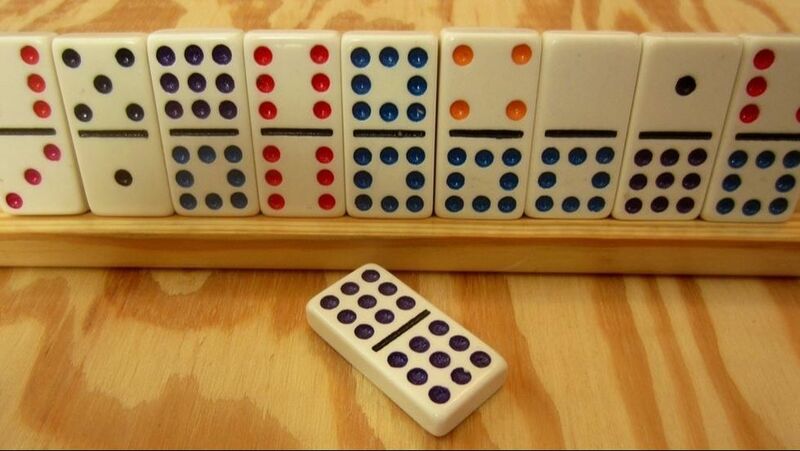 Enjoy playing various types of dominoes with our large domino group - basic trains, Mexican train, spinners & more! ​​Work together to score points by taking tricks. Join this wonderfully social, partnership game! ​​A lively dice game based on luck-of-the-roll and throw decision making. Join us & see where the dice take you! 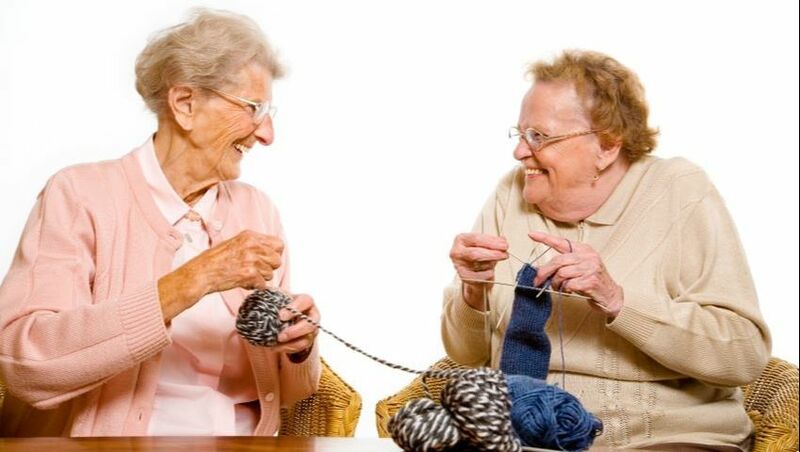 ​​Bring your needles, hooks & yarn for social knitting & crocheting. These gals & gents are just a stitch! A Reader's Advisory Service will be provided to check on authors, recently published books, etc. Call Nancy Larson at 262.335.5151 - ext. 5241 to request items for her to bring. ​​Try your luck at Mah Jongg, a tile-based game involving skill, strategy & a little luck. Draw & discard tiles to win! 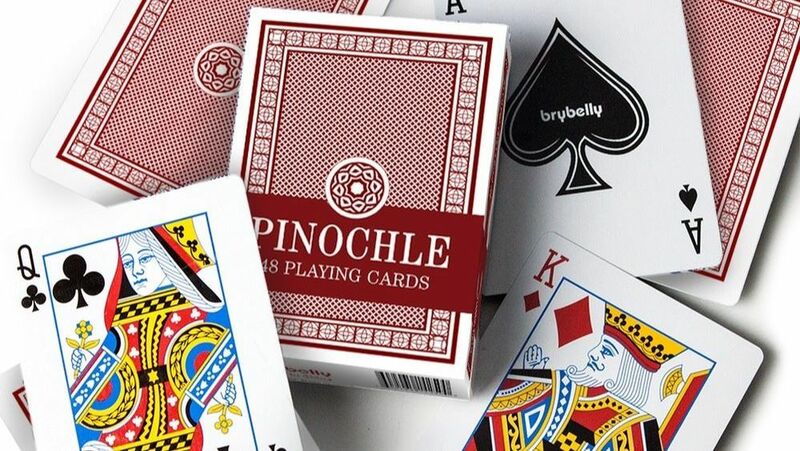 ​​Join us for two great card games, Pinochle & Hearts. Haven't played in a while? We have instructors for both! 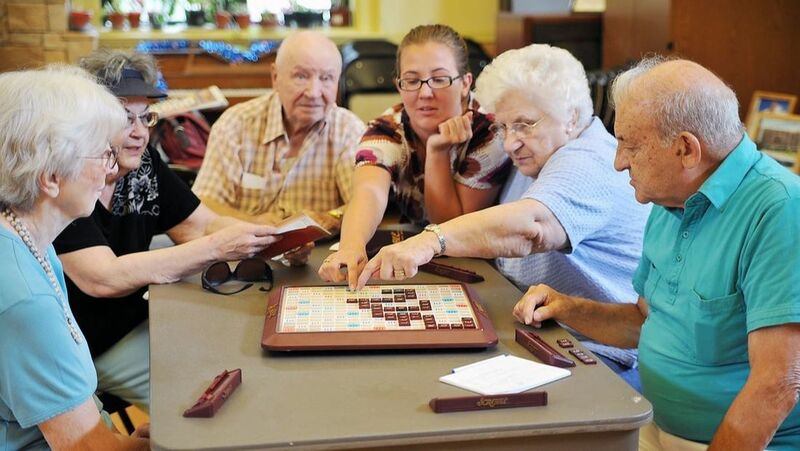 ​​Participate in a great group pass & play crossword game. Draw & discard tiles to create words & score points. Scrabble dictionaries available to confirm! ​​Sit in on our sewing & quilting time - grab your favorite pattern & get creative in this group environment! 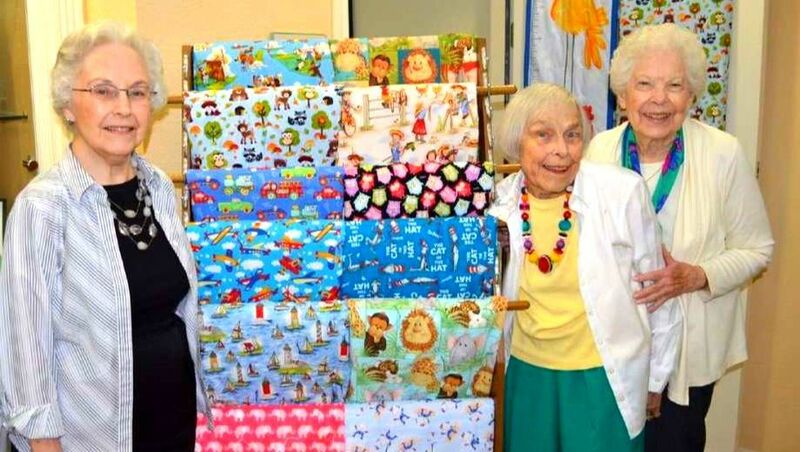 Beginners sewers & quilters are encouraged & welcome! 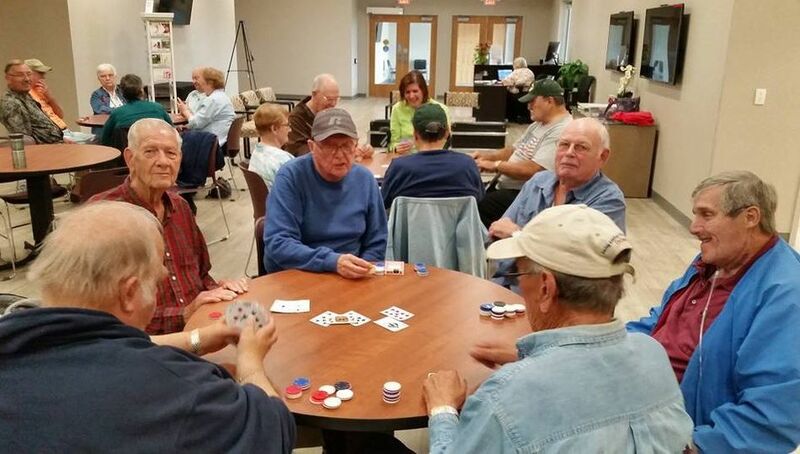 ​​This Midwestern game is king here at the Senior Center. Play 5-handed, call an ace Sheepshead multiple times throughout the week! Select from our Beginner, Fun or Regular Sheepshead groups! ​​Enjoy bowling without the heavy ball & funky bowling shoes. Bowlers have two fun days to play to see who can get the most strikes, spares & pins. Our Wii bowling leagues are great fun & exercise too! ​​Be the first person to 500 points - make bids & take tricks to come out on top. Join the fun of 500!